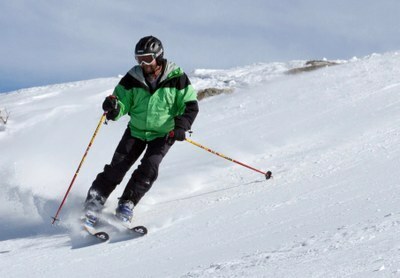 This activity is part of the Sunday Downhill Ski or Snowboard Series D - 2019 course. To register for the course, register or cancel lectures and field trips, or cancel entirely from the course, visit the course page. Please note: Lodge fees and Washington State Parks Sno-park permits not included. More information on Sno Park Passes can be found here - https://parks.state.wa.us/134/Sno-Park-non-motorized-Permits - Crystal Springs Sno Park requires either a one-day Sno Park permit + a one-day or annual Discover Pass (for 1 day parking), or a Special Groomed Trails Permit in addition to the Seasonal Sno Park permit (allows for overnight parking). Rent or bring your skis, boots and poles. Instructors will be available to advise you in equipment for your ability, age and weight whether you wish to purchase or rent from an outside rental store. The Mountaineers does not provide you with equipment. Wear an old jacket and bring work gloves or heavy mittens. Helmets are strongly suggested. Lodge fees and Washington State Parks Sno-park permits not included.